An intimate portrait of one of the greatest mystics and thinkers of the 20th century. Born into the English middle class in 1906, educated in Oxford, having been a Benedictine monk and scholar for more than 20 years, he lived the last 37 years of his life in the lush jungles of Southern India where he developed a spiritual and scientific understanding that transcended all dogma. He is a man in search of that which is fundamental to all religions: the search for the absolute and that which transcends all human limitations. He is a mystic in touch with absolute love and beauty. Cardinal Hume, Archbishop of Westminster. His vision has guided him to open the hearts and minds of mankind to gain understanding and acceptance of all the major religions with respect and dignity, to gain a sense of peace and unity to further the cause and good will of all people. His Holiness, the Dalia Lama. 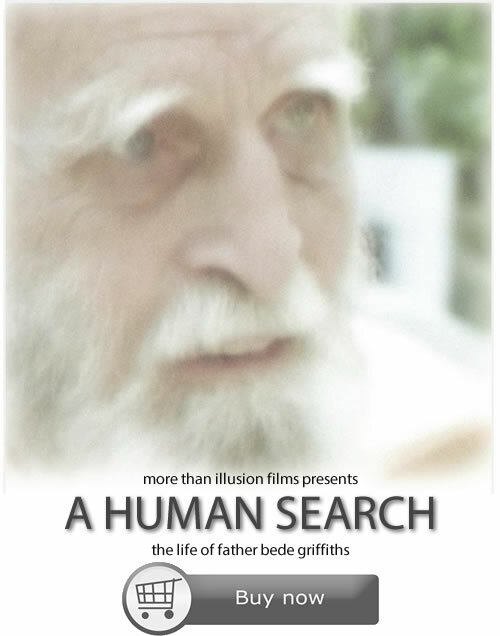 Copyright © 2013 A Human Search.